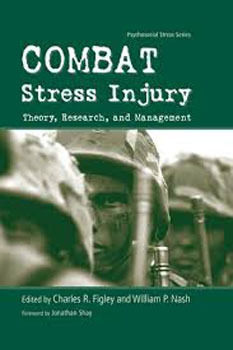 Combat Stress Injury represents a definitive collection of the most current theory, research, and practice in the area of combat and operational stress management, edited by two experts in the field. In this book, Charles Figley and Bill Nash have assembled a wide-ranging group of authors (military / nonmilitary, American / international, combat veterans / trainers, and as diverse as psychiatrists / psychologists / social workers / nurses / clergy / physiologists / military scientists). The chapters in this volume collectively demonstrate that combat stress can effectively be managed through prevention and training prior to combat, stress reduction methods during operations, and desensitization programs immediately following combat exposure.